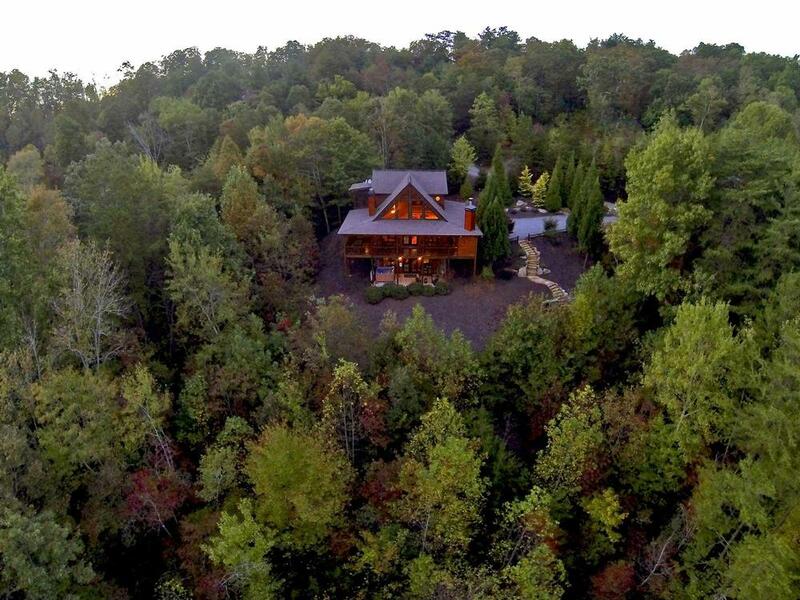 The Aska Adventure Lodge is located in the sought after Aska Adventure area and is conveniently located less than five minutes from the quaint town of Blue Ridge, Georgia, the Toccoa River and Lake Blue Ridge. 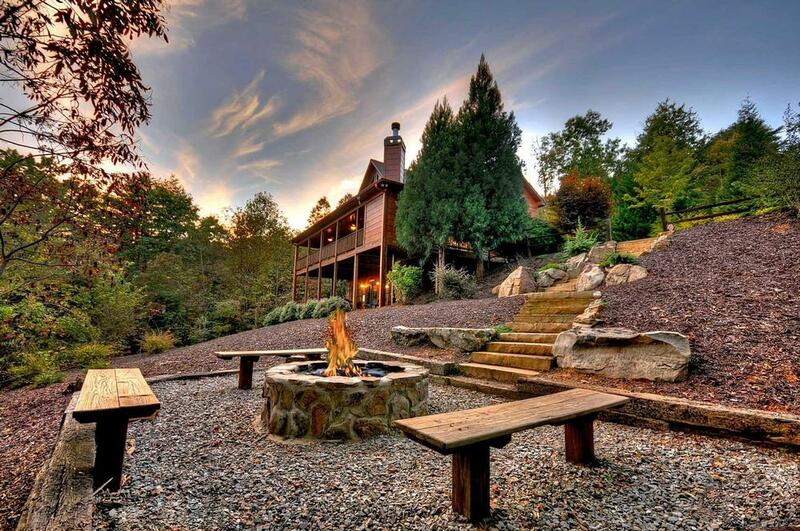 It is close to everything you'd want, but tucked away with all the privacy you'd expect from a mountain vacation retreat. Aska is the Cherokee Native American word for "winter retreat," however, this cabin is perfect in every season. 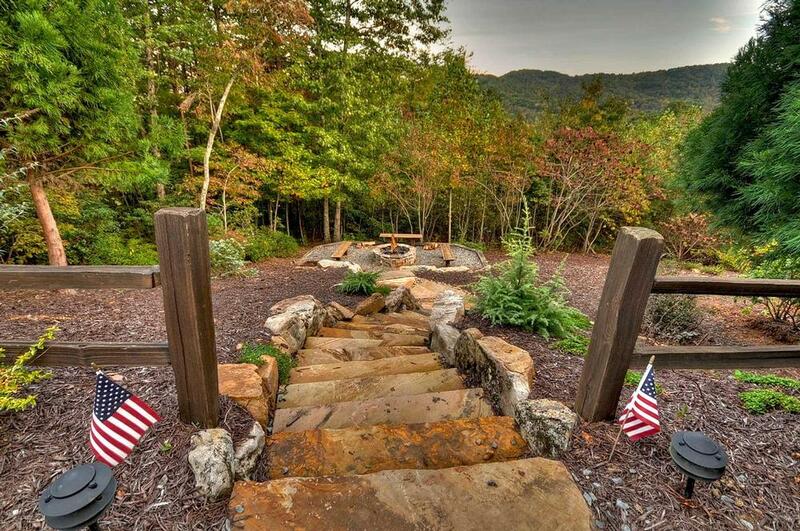 Hike right from the expansive wraparound porch, up the hill and connect with the Benton MacKaye Trail. Or, take advantage of the many popular area waterfalls and great tubing and canoeing activities. Inside the home's professionally decorated and richly appointed great room, expansive glass windows are strategically positioned to overlook the breathtaking and panoramic Aska Adventure area mountains. Enjoy the sectional leather seating, dining for eight at the expansive dining table placed by the windows for even more expansive views. The large kitchen is completely stocked with all of the cooking and serving accoutrements one would need for a cozy or big group meal. 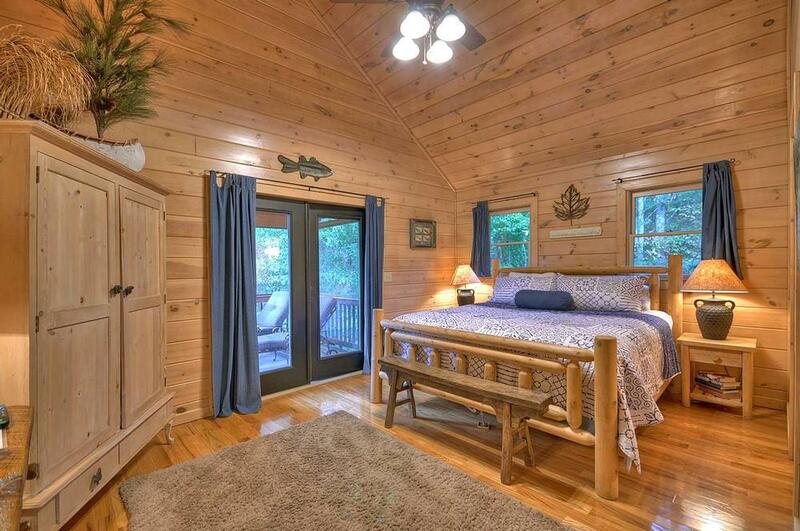 After a great day of fishing in the area's many cold water streams and rivers, you can retire to the appropriately-themed 'Trout Camp' master suite. Located upstairs, this beautiful room is filled with fine rustic decor and local artist paintings. It has its own private deck and an enormous king size white cedar log bed, loaded with pillows and throws and outfitted in luxurious 500 thread count sheets to ensure a comfortable and tranquil slumber. The private master bath is appointed with a double vanity, Jacuzzi tub, separate shower, and a romantic chandelier for perfect mood lighting. 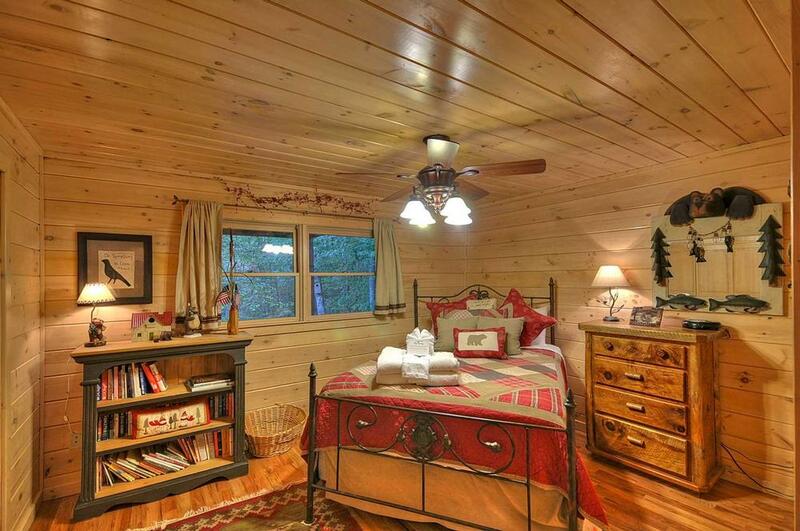 There is also an adjoining loft which offers a well stocked lending library making it a great retreat for a cozy read. This loft also offers a full-size futon that can be ideal for kids who might prefer to sleep in close proximity to their parents. 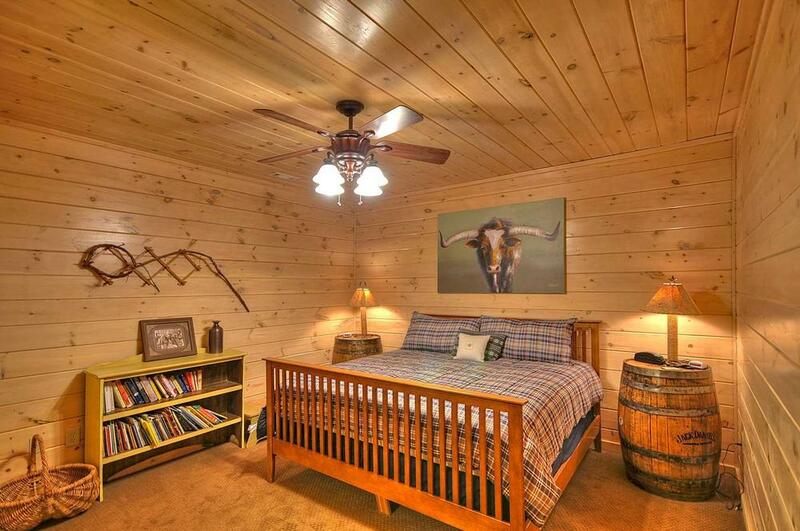 'The Cowgirl Hangout' is the second master suite theme that was designed to accommodate guests who like to stay up later and hibernate until late morning. It is specially decorated in a Western theme featuring a log-crafted king size bed, nightstands crafted from authentic Jack Daniels whiskey barrels and has an adjoining western themed bathroom to boot. It wouldn't feel right to be in the North Georgia mountains without a bear or two in the third themed bedroom located off of the main floor. It has a plush, pillow-top queen size, wrought-iron bed, hand carved furnishings from local mountain artisans, a large walk-in closet, a lending library of its own and an adjoining, private bathroom. Aska Adventure Lodge is the perfect place and setting to clear the mind and steal away on vacation with your friends or family. Here, overlooking the mountains and upward to the sky-blue heavens, take in the crisp, clean air that rejuvenates the spirit. 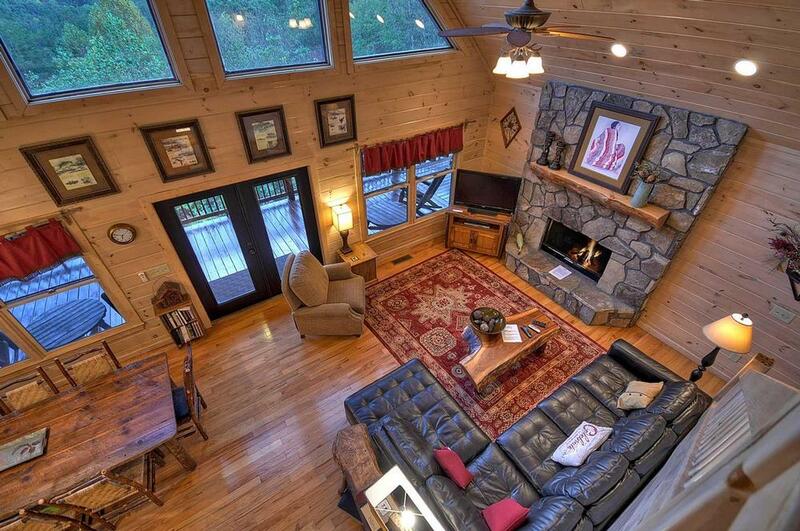 Family Room - 42" flat screen with large sectional leather sofa, recliner and gas log rock fireplace. All open to the kitchen and dining area. 02/19 - The outdoor fireplace was awesome, especially since we had rain most days. 03/19 - Enjoyed the outdoor fireplace, there was a lot of room for our kids to play outside. 01/19 - We loved the outdoor fireplace, the hot tub, and the fire pit outside. The game room was nice for the children. This is the second time we've booked with Escape to Blue Ridge and it won't be the last- friendly staff, so helpful! 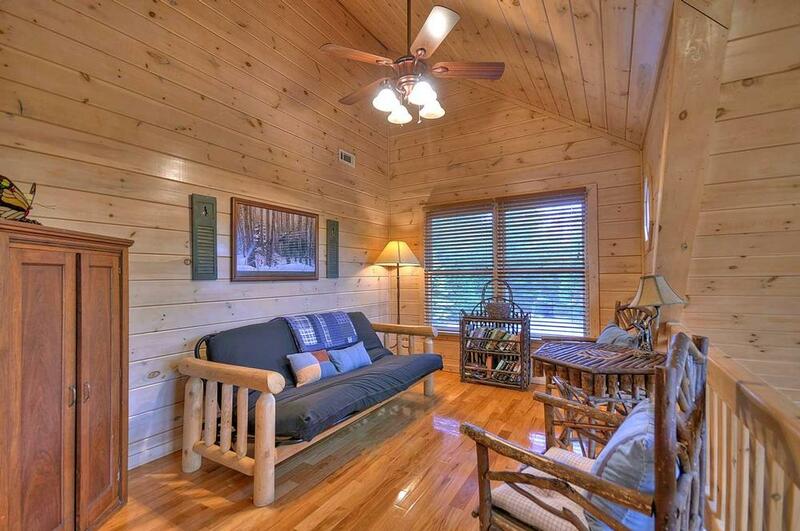 01/19 - Excellent location, beautiful cabin, very comfortable and your staff is very helpful. 2nd time we have stayed in one of your cabins and both times have been great. Thank you! 12/18 - Open main floor; nice basement and deck. Professional and friendly staff. Excellent execution. 12/18 - Enjoyed the view, the deck, pool table, easy access, and the wind chimes. 11/18 - Nice, big hot tub. Loved the outdoor fireplace. Plenty of cookware. We used the large crockpot. 10/18 - One of our favorite things was the fireplace on the deck, we enjoyed the family sitting by the fire. 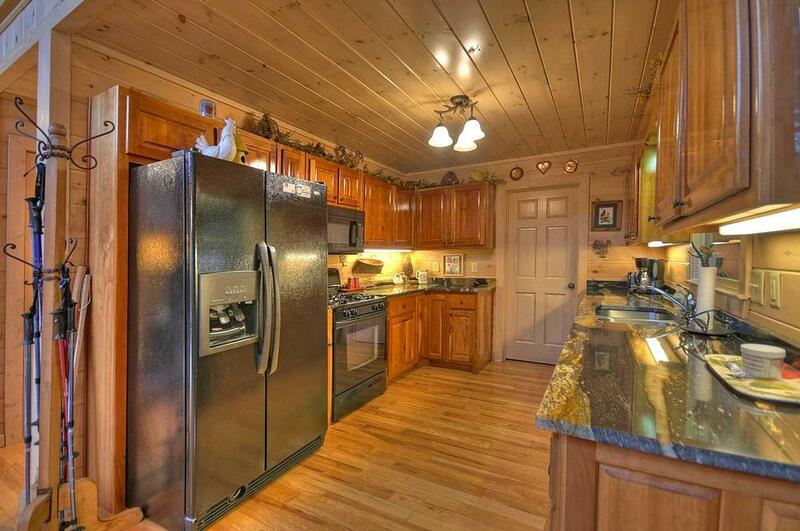 The cabin was spacious, the kitchen had everything we needed, it was perfect. I have stayed at two of your cabins and loved both of them. We will be back. 10/18 - I enjoyed the size and style of Aska Adventure Lodge. Reserving the cabin was smooth and quick. 09/18 - Enjoyed the open floor plan & seclusion. 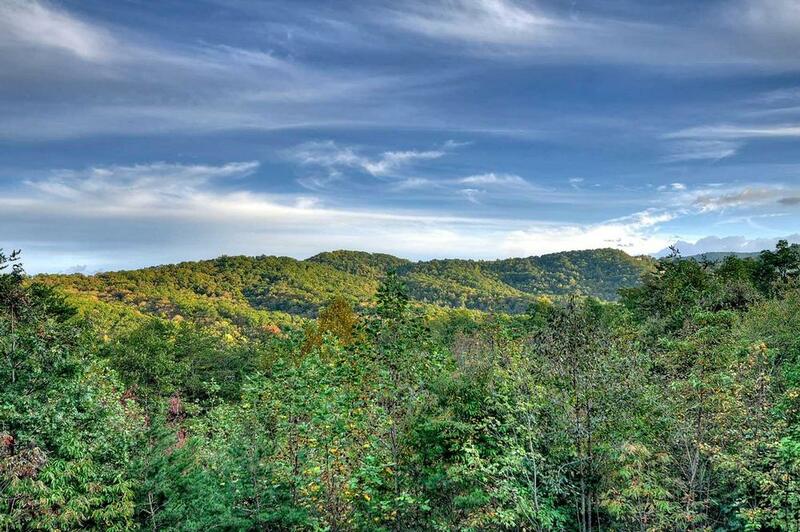 We love dealing with Escape to Blue Ridge. 09/18 - So peaceful! Beautiful views. Home had wonderful amenities and was incredibly comfortable. Top-notch service. They made the entire rental process super easy! Thanks! 08/18 - Anything we could need was there..the kitchen was fully stocked and the experience was amazing. We will def be back. Staff are very attentive and helpful. 07/18 - The cabin was well equipped and comfortable; close to town and peaceful. Very nice people; very helpful with any questions or concerns. 07/18 - Beautiful place to stay, comfortable. Loved the porch. Very nice homey feeling staying there. 06/18 - Very spacious with a lovely deck. It was absolutely tranquil. It was also in a perfect location to all the hiking trails. Company was great! And on top of everything! 05/18 - Very clean, good location and staff was very professional and helpful. The house was very clean and appeared extremely well taken care of!! Comfortable furnishings, and everything was labeled. Overall, it was a great experience. The staff was knowledgeable and helpful. All pertinent information, directions, etc. were well spelled out. Reminder emails were a plus. 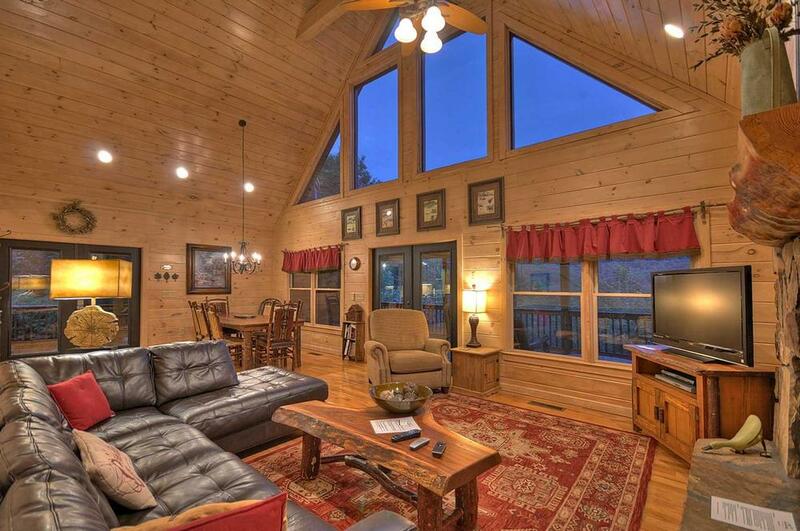 3/18 - Great cabin for a larger family and extended family getaway. Lots of things to do at the cabin. If you have high expectations I feel Escape to Blue Ridge is an excellent choice. 08/17- For the most part the cabin is great. This was my second visit we were there 5 years ago. Some things weren\'t as great as the first time. Still was an Awesome time and will be back ! 07/17- The fire pit and the hot tub were a great treat for the kids. The wrap around porch was enjoyable. The staff are friendly and easy to get hold of. 07/17- This home is large and comfortable. It was clean: inside and out. The location was perfect! 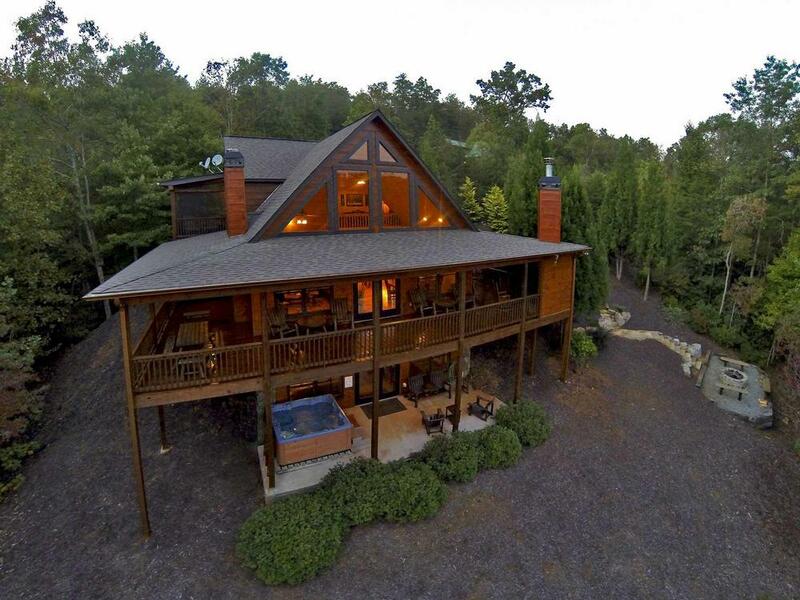 Quiet, peaceful and beautiful are words that describe this home. 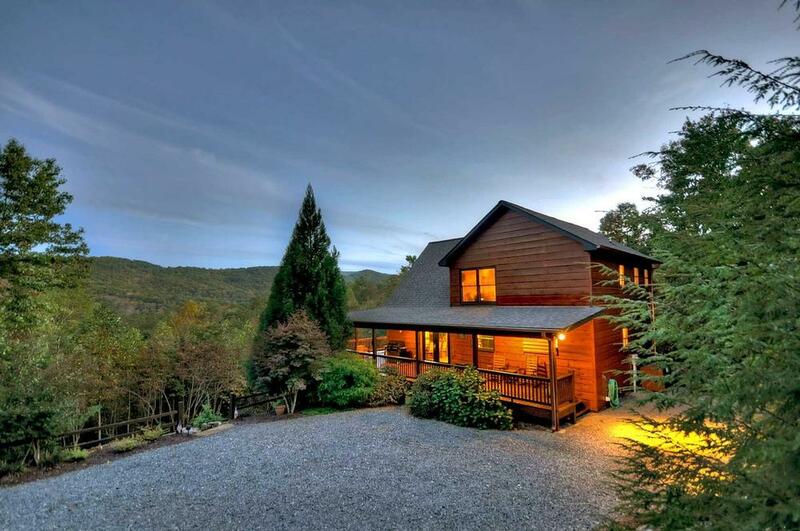 Escape to Blue Ridge offers beautiful homes. I plan to return in October to ride the train and see the fall colors. Save me a cabin! 04/17- I have been coming to this home for many years with my sisters and sisters-in-law and we especially enjoy the view and the outdoor fireplace. The new mattresses are very comfortable. I have been pleased with all the staff that I have worked with. 03/17- Our favorite features of this home were the views, the cleanliness of the cabin and the variety of stocked up supplies for everything needed. Overall, it was an amazing vacation with my family and we will most definitely return to this location. Excellent, courteous, very professional and friendly staff! 03/17- The view, the quality of the new construction, the heater, the furniture, having 3 fireplaces and stock pile of wood (but wood needs a cover - it was moist), the paved roads, the privacy not being near other houses, the instructions all through the house. 02/17- The cabin was very homey feeling and we enjoyed the outdoor fireplace every day that we were there. 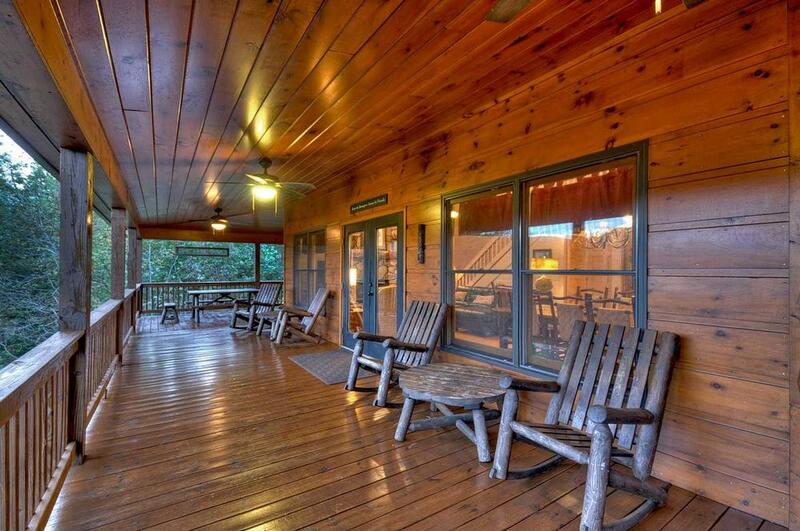 This is my second time renting a cabin with your company, and I have enjoyed both times. Thank you!! 01/17- We loved loved the porch fireplace, spent every night out there! And the game room for the kids! The company was great and easy to work with. 01/17- Beautiful area and home! We enjoyed our stay, thank you so much!! Loved the instructions and labeled items to make it easier. 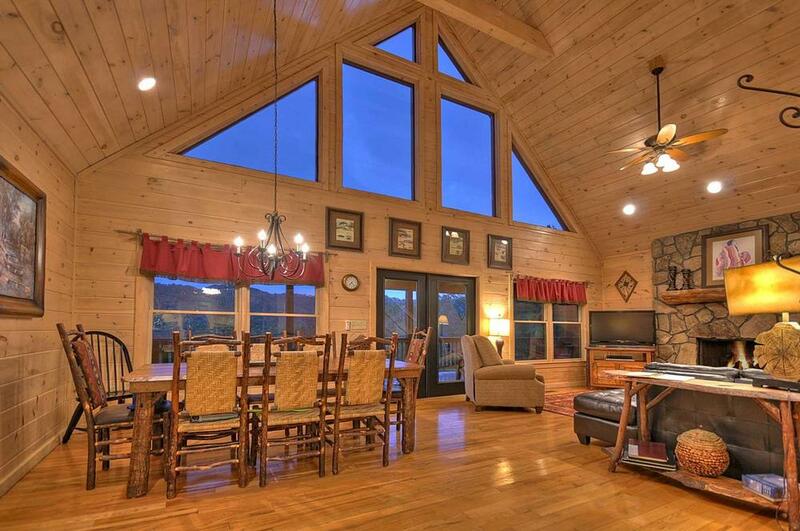 10/16- Beautiful cabin and perfect location. We've stayed here on several occasions and love it! Everything you need is here and I would highly recommend it. The staff are always professional, courteous and friendly and willing to answer any questions you may have. 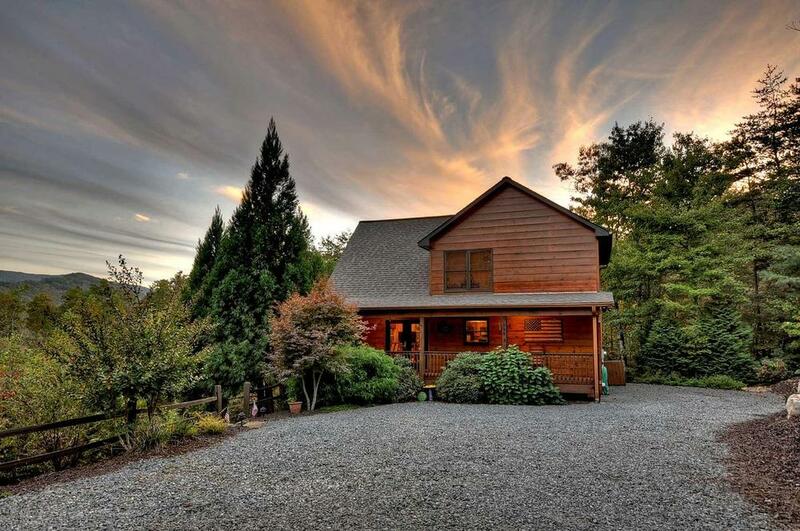 09/16- Our favorite features of this home are that it's close to town, has a beautiful view in a peaceful setting and each floor has its own bathroom. 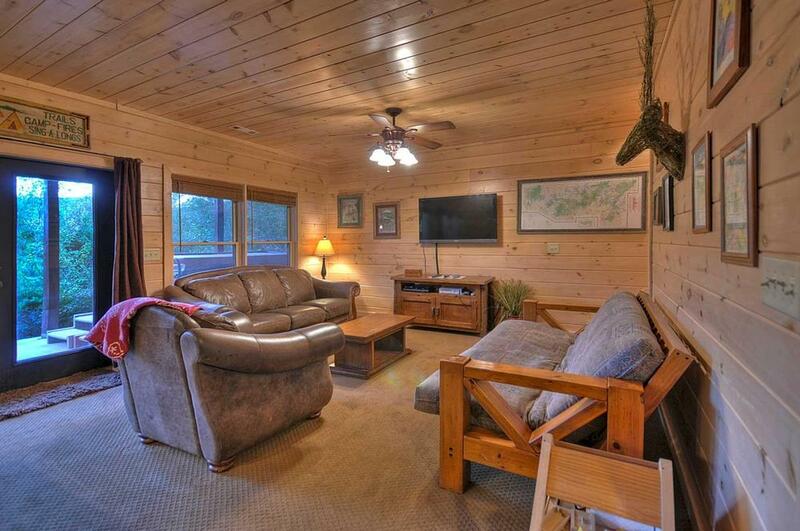 The staff are very helpful and the company has great cabin listings. 07/16- The home was comfortable and well appointed. 06/16- The location can't be beat. We had 9 ppl in total including 5 kids, the downstairs game room, couch and futon were perfect for them. They had everything they needed. The jacuzzi was a perfect solution to sore muscles after 4 straight days of hiking! The views, outdoor deck/dining table and fire pit were all perfect. We were relatively close to everything we wanted to do. 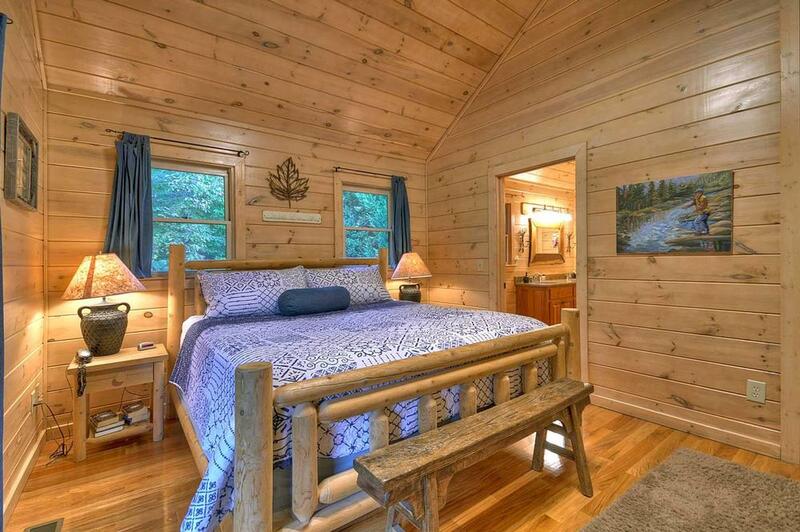 I'd recommend this cabin to a large group. 06/16- Very clean. Comfy beds. 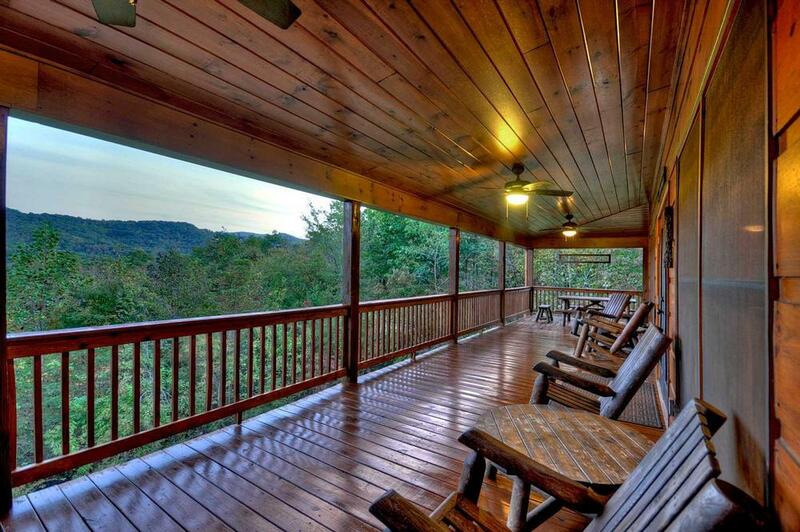 Loved the rocking chairs on the deck. Hot tub was great. Very friendly and professional. I would recommend escape to blue ridge to anybody. 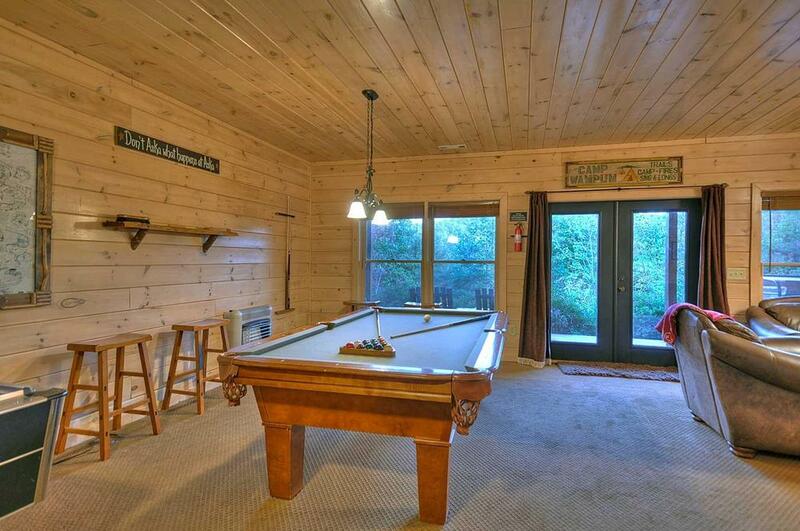 05/16- The cabin is beautiful and we all enjoyed the lower level games room. We have reserved cabins through Escape to Blie Ridge for several years and we would not use another company! Very pleasant and affordable rentals. the view, the landscape and just about every thing. We just like to relax by the fire and remember all our good times together. 04/16- The views from the back of the house were best. I love your company. Your cabins are great and the the customer service team is responsive and friendly even with it being user error. 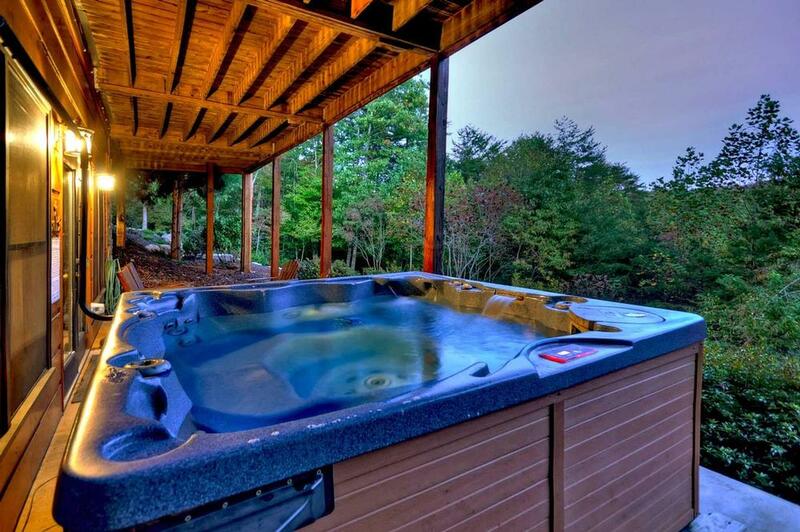 03/16- Hot tub, fire pit and gaming area. View was nice the the 3 levels allowed for us to spread out our children! The company was very attentive and quick to respond to any questions I had. I was very impressed with the staff and the overall Escape to Blue Ridge properties! 03/16- The home was beautifully decorated and well appointed. My boys especially enjoyed the pool table, air hockey and Xbox! We all loved the hot tub! I am very impressed with your company. There are so many nice properties to choose from, and the staff is so helpful and friendly. 01/16- Location! Loved the Floor Plan. Awesome Decor! 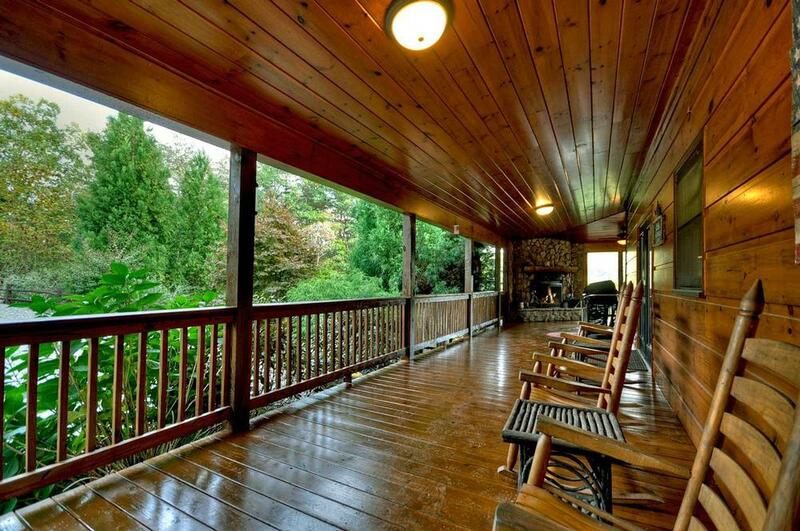 01/16- The rocking chairs on the porch and the one level in the main living area were great. No steps to get to porch. Two big doors. Felt so open. And we are close to town. That was really nice!! Staff was always friendly and helpful. This is our 2nd time booking with you. Plan to book again once we get back home. 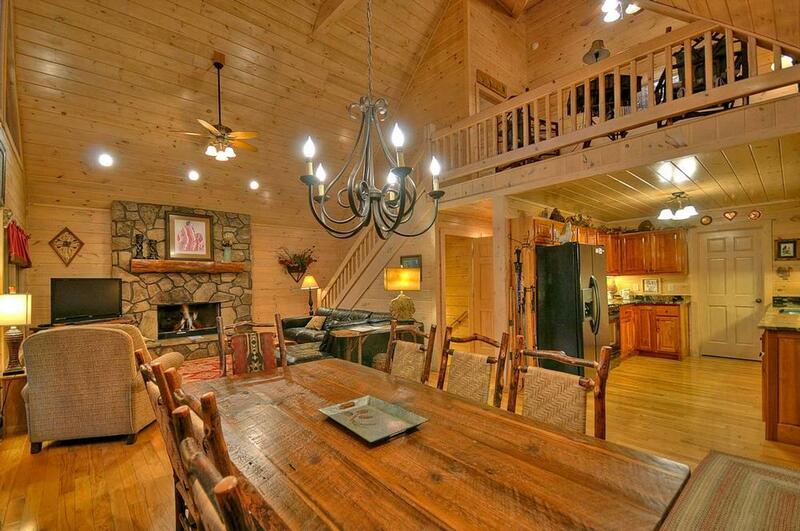 11/15- There are several great things about this cabin. The location is very nice and the kitchen is stocked very well. All of the beds were very nice and I especially appreciated the quality mattress pads that were on the beds which added to the comfort. We did appreciate knowing that your linens are professionally cleaned. Also loved the thick and absorbent towels. The children loved the wooden playhouse and it kept them busy for hours and the small picnic table was great for the little ones. This is the second time I have booked with Escape to Blue Ridge and have had a positive experience each time. They were very prompt in answering and returning our calls if we had questions or needed assistance during our stay. 10/15- Asia Adventure Lodge is a fantastic cabin and we have stayed at this cabin many times. It is beautiful, always very clean and everything is perfect - no detail is over looked. 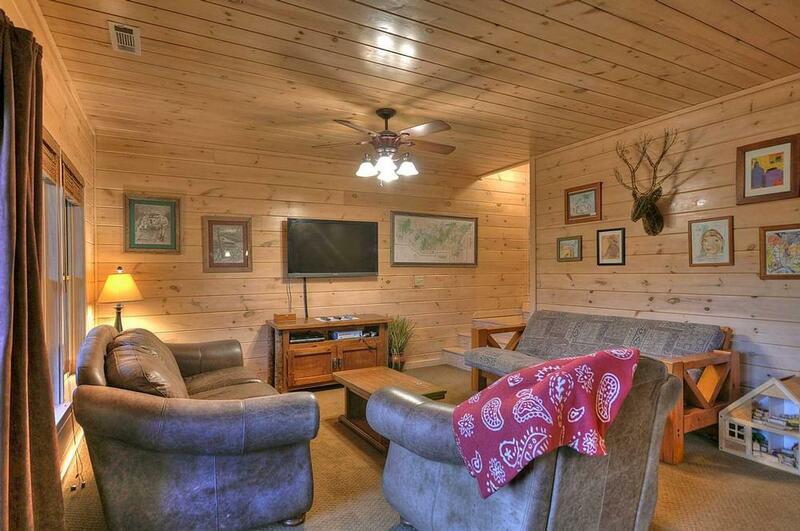 It is wonderful to be surrounded by such beauty of the outdoors and we would highly recommend this cabin- you will love it! Your staff is very helpful, efficient and friendly. We have never had any issues. 10/15- The view was wonderful!I would use your company again! 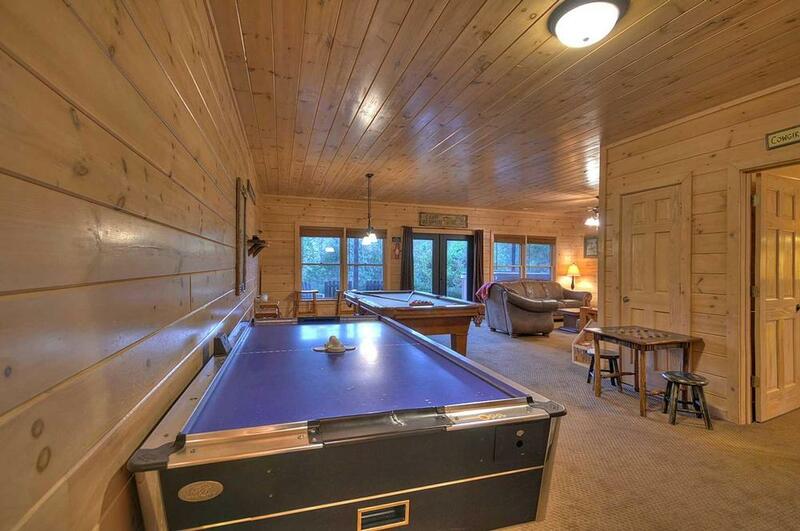 08/15- We loved the fact that this cabin had a pool table! The staff were friendly and helpful from the first time I called for information. 06/15- The peace and serenity of the cabin and surrounding was just what we needed. We brought a lot of things with us that we didn't need the cabin was stocked and ready . 06/15- This is a very well - appointed cabin. Beautiful setting with gorgeous landscaping that blends seamlessly into the surrounding natural setting. 04/15- We have been staying in this home since 2007 and we love it. This is the first time we have been this time of year and the flowers were beautiful. 03/15- Fire pit options each bedroom with bathroom close proximity to town and views of mountains were awesome features. They delivered as promised. 02/15- Loved the cabin overall! We especially enjoyed the location and the view from the cabin. The guest services staff was very nice and helpful when we called. 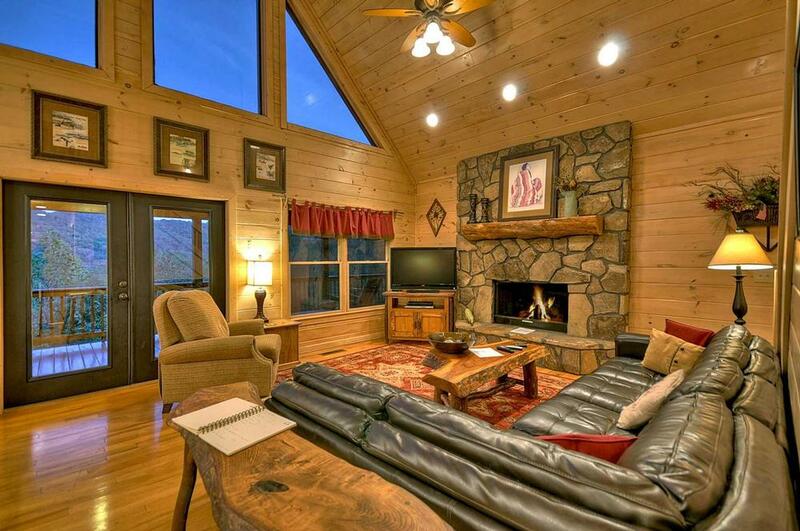 Liked the layout of the cabin - wonderful deck, outside fireplace and fire pit. The landscape was beautifully done. Very happy with our stay and we intend on returning in the future. Loved this cabin and the location. 12/14- The whole house was incredible! 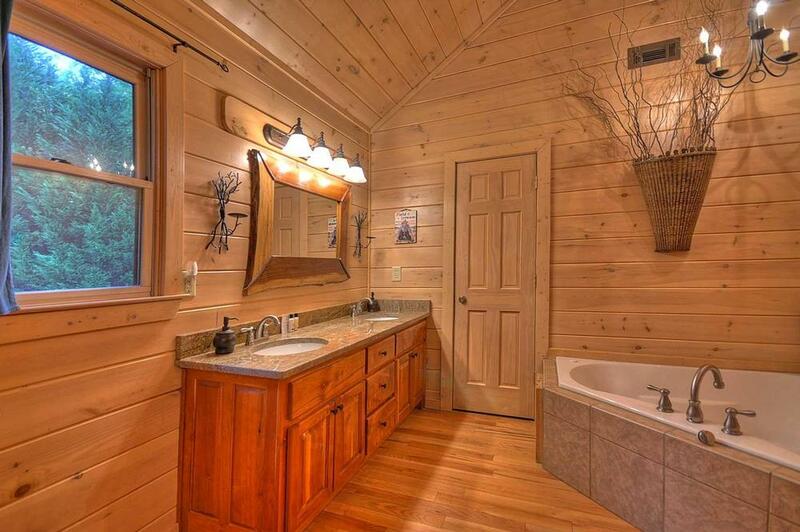 We loved this cabin!! It was amazing and beyond what we expected. 12/14- The house was beautiful, and the views were very scenic. 11/14- The outdoor fireplace, the game room. 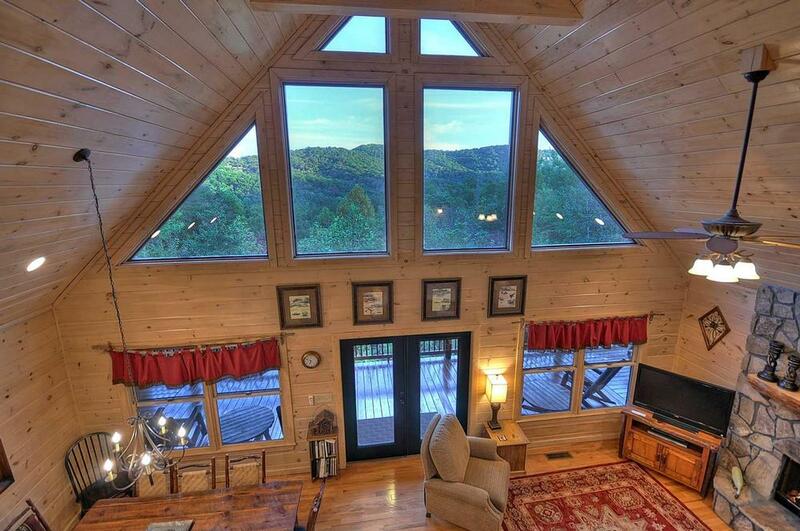 The location of the cabin overlooking the mountains was spectacular. Overall we had a wonderful experience.We had issues with the wifi and the fireplace but not for long as your service people came to the rescue.They were prompt, courteous and very professional. 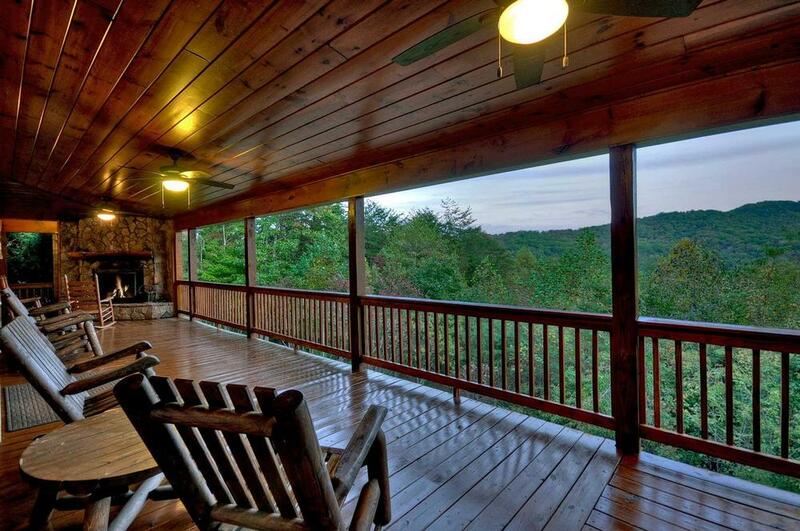 11/14- Great porches, view, kitchen and comfy living area, also love your windchime! 11/14- the view from the kitchen ~ really all the views. 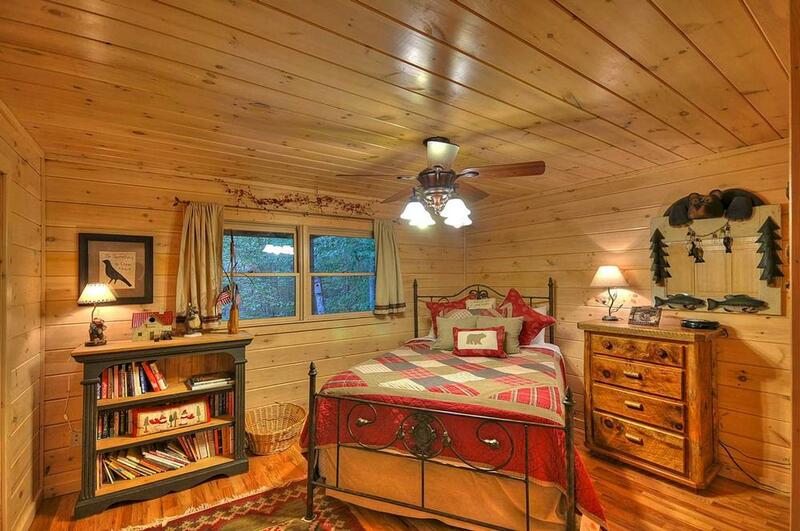 The layout of the cabin was awesome. One of my friends said "I would like that cabin again next year. She stayed downstairs :-) We really liked this place because it was close to town but till on a mountain for great view of the leaves. This was my fourth time renting from E.B.R. Great Customer Service and great cabins. 10/14- Aska Adventure Lodge was lovely. The decor was outstanding and quality. The personal touches you usually do not see but this was an added delight. 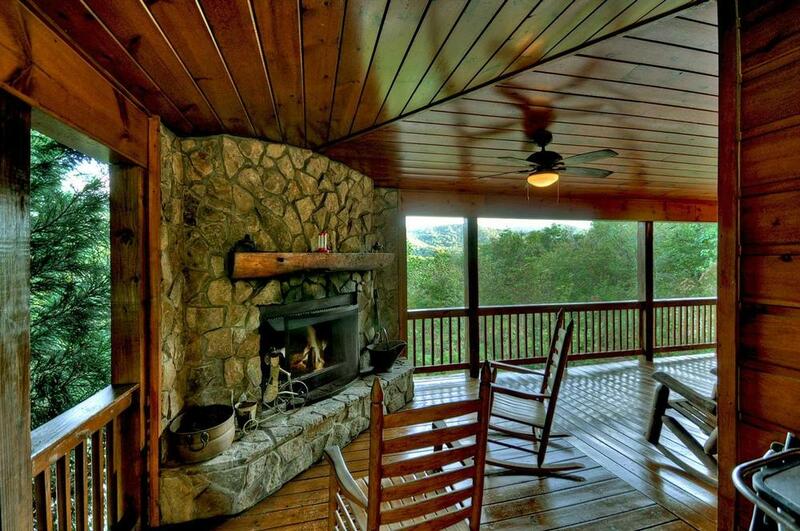 10/14- Always love the beautiful wrap around porch with fireplace with a beautiful view of the mountains. Coffee in the morning and glass of wine in the evening was a great start and end of the day. We stay here all of the time and love the new amenities they keep adding. 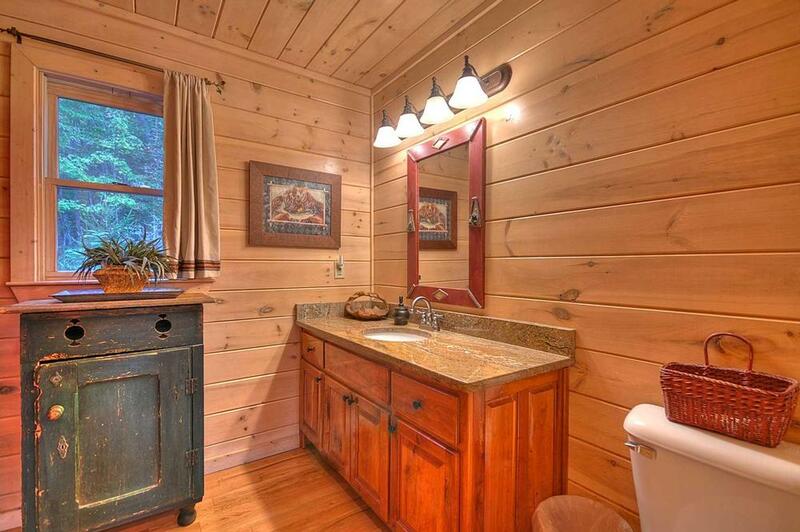 We always enjoy renting from Escape To Blue Ridge as we know the cabins are always clean, beautiful and they pay attention to every detail . The staff is always pleasant, helpful and wonderful to do business with. 10/14- Loved the size,plenty of room,and chairs,beds were comfortable. Very private and nice! 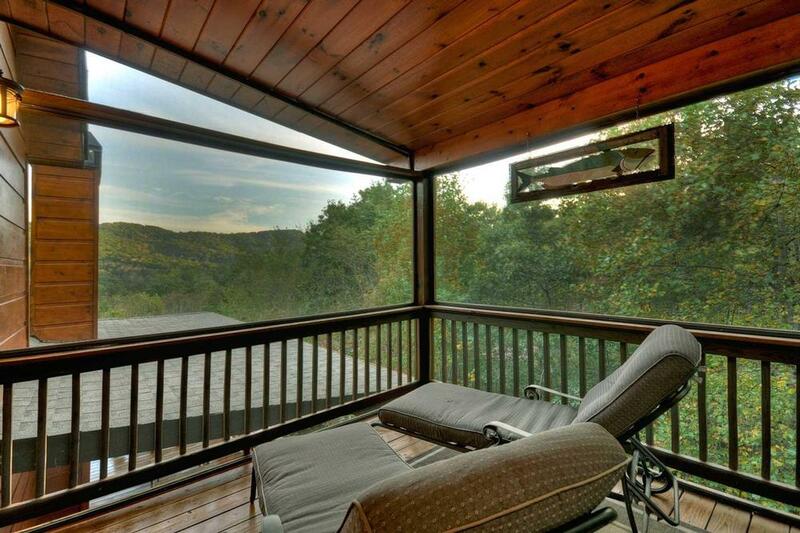 08/14- The big wrap around deck with outdoor fireplace and amazing view. We spent a lot of time out there playing games, eating and hanging out. 08/14- The openness of the cabin was wonderful. All rooms spacious and well equipped, the game room, hot tub was a lifesaver, Its was a great place!!! The fireplace on the deck was a great attraction. We enjoyed it all. 07/14- Kids loved the game room and TV down stairs. Loved the house!! We really enjoyed our time at Aska Adventure Lodge. Our only real complaint is that we didn't have more time to stay. That of course is not your fault! We really loved the porch and just sitting and relaxing together. We loved the art that you have framed that your children have made. Our girls love to make things and have done so over the years. Our oldest is now an art teacher. This just added to our enjoyment. It made it feel more homey for us. Thanks! We will be back when we can stay longer.